Today I have a guest post from Stuart Jaffe, author of The Way of the Black Beast. He’s here to talk about the rules of writing. Human beings love structure. We do. Even when we say we don’t, we do. We love to organize and categorize, make rules and make exceptions, choose leaders and choose followers. There’s something deep within us all that prefers order over anarchy. In fiction, this tendency rears its head with all sorts of “rules” about writing. But the truth is, there is only one rule in writing — If it works, it works. All the other “rules” are merely guidelines based on what has worked in the past. But if you can write a second person, present tense novel about a child waking up in a white room who then looks in a mirror and describes herself, if you can do that and make it work, then the rules that say don’t do that are wrong. A key point here — by “work,” I don’t mean that you simply managed to write it, but rather that whatever you attempted works for the reader. If the reader likes it, then all is well. When it comes to the Fantasy genre, where I like to play most, I’ve noticed that the guidelines from the past decades have become so entrenched that more and more people treat them like rules. This is dangerous to any genre but particularly Fantasy. By definition, the Fantasy genre should not have rules. It’s all fantasy. Anything can happen. Some of these rules are given because they do help the writer learn the craft. Having a consistent and thought-out magic system will aid you in coming up with plot, character, descriptions, and all sorts of conflicts. But the truth is, magic is magic and it doesn’t need to be consistent or even explained. There’s little to no consistency in the magic of Greek myths. The magic in the King Arthur legends also seems haphazard. Tim Powers and China Mieville write incredible fiction in which the rules of magic appear to be rather sparse or non-existent. Likewise, another rule (this one is more unspoken than most) is that epic fantasy should be in a quasi-medieval setting. Now, there have been numerous attempts to break from that — some successful, some not — but there are not that many epic fantasies that take place in modern day. In fact, once writers and readers decided they liked mixing fantasy with the modern day, publishers invented a new sub-genre called Urban Fantasy to handle it. But, folks, it’s all fantasy. There’s nothing wrong with writing a classic medieval fantasy with a consistent magic system. After all, there’s a reason that became the rule — readers react favorably to it. But it shouldn’t be so difficult to push the boundaries of the fantasy genre because there shouldn’t be any boundaries. Powers and Mieville shouldn’t be the exceptions. In my writing, I go forth by a simple idea — Fantasy knows no bounds. 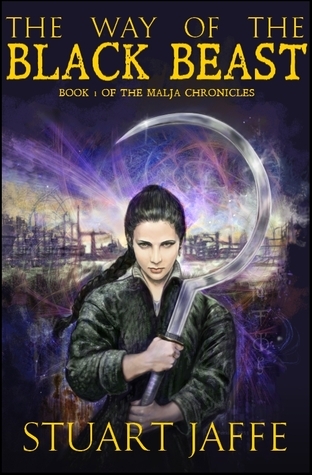 That’s how I found the freedom to write The Malja Chronicles, the first book of which is The Way of the Black Beast. It’s a fantasy story with magic and monsters and much that is familiar. But it’s also a post-apocalyptic tale in which the world before the Devastation was highly advanced and highly civilized. It’s Xena meets Mad Max, and the reader reaction so far has been that it works. Therefore, it works. So, I encourage all writers and readers of fantasy to unleash our collective imaginations and fight against our instincts for order. Let’s not bring too much structure into our fantasy guidelines. Rather, let’s embrace the strange and wild, and enjoy all forms of this wonderful genre. Because that is what fantasy is about. Anything can happen. As long as it works. 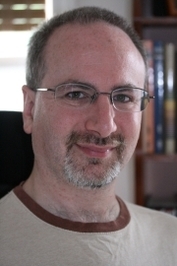 Stuart Jaffe is the author of The Malja Chronicles, a post-apocalyptic fantasy series, and numerous short stories in Fantasy, SF, and Horror. He is also a co-contributer to the non-fiction book, How To Write Magical Words: A Writer`s Companion. He is the co-host of The Eclectic Review — a podcast about science, art, and well, everything. For those who keep count, the latest animal listing is as follows: five cats, one albino corn snake, one Brazilian black tarantula, three aquatic turtles, one tortoise, assorted fish, two lop-eared rabbits, eight chickens, and a horse. Thankfully, the chickens and the horse do not live inside the house.